In addition to the new schemes, that allow communities and businesses to take control of their future broadband provision, Worcestershire County Council is seeking additional funding from the Department for Environment, Food and Rural Affairs.The County Council is committed to taking coverage further by also investing elements of underspend or other funds arising from earlier contracts to extend superfast broadband infrastructure further into Worcestershire. The Connection Voucher Scheme can only be used by Small to Medium size Enterprises as defined by the European Commission, and enables Worcestershire County Council to co-invest with businesses and will be allocated on a 'first come, first served' basis.Vouchers will be capped at a maximum of £1,500 per business. The same rules apply to charities and not for profit organisations. The Local Body Partnership Scheme enables Worcestershire County Council to co-invest with communities and will be allocated on a 'first come, first served' basis. Support funding will be capped at a maximum £80,000 per community; however communities above this limit will be taken into consideration and reviewed on a case by case basis. Worcestershire County Council has also set aside £500,000 to support communities through a Local Body Partnership Scheme (LBP), which can be used to contribute towards money raised by eligible communities to make the technology available. The LBP Scheme is thought to be one of the first local authority-led initiatives of its kind and will give participating properties access to superfast broadband through an already well established Community Fibre Partnership scheme run by Openreach. The first step in checking eligibility for the schemes is to find out whether your community or business is included in Superfast Worcestershire's deployment plan by visiting www.superfastworcestershire.com. The solution will be planned to achieve a minimum of 24Mbps for every property or business in scope. The solution will be designed to be the most affordable, and could be Fibre to the Cabinet (FTTC), Fibre to the Premise (FTTP), or Fibre to the Remote Node (FttRN). It is not possible for a community or business to request a preferred solution. Issued by Worcestershire County Council and Openreach. Superfast Worcestershire is a partnership between Worcestershire County Council, BT and the Government’s Broadband Delivery UK (BDUK) programme. In the first phase Worcestershire County Council is contributing up to £8.5 million, with an additional £8.9 million from BT Group, and a further £4.45 million from the Government’s Broadband Delivery UK (BDUK) funds through the Superfast Britain initiative (please see below) to make a total of £21.85 million. 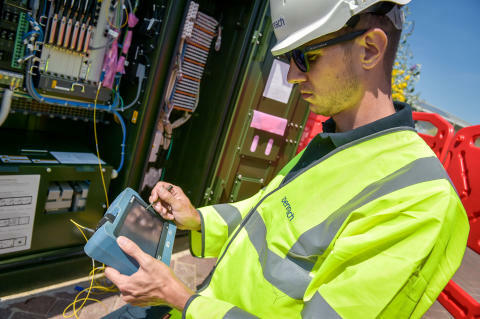 A further contract to extend the programme was signed in March 2015 to increase the percentage of homes and businesses able to access fibre-based broadband in Worcestershire to more than 95 per cent when the private sector’s commercial roll-out of the technology is included. The total amount of funding available for the extension to the programme is £6.2 million, comprising £2.39 million grant funding each from the Broadband Delivery UK (BDUK) fund and the Worcestershire Local Enterprise Partnership through the Government's Growth Deal, and £1.42 million from BT Group to make a total of £6.2 million. This next phase, Contract 3 announced in November 2017, will increase the percentage of homes and businesses able to access superfastbroadband in Worcestershire to more than 96 per cent when the private sector's commercial roll-out of the technology is included.Superfast broadband is defined as speeds over 24Mbps. The total amount of funding available for Contract 3 is £6.2 million, comprising grant funding from the Government's Broadband Delivery UK programme of £1.5 million, £1 million from the Department for Communities and Local Government European Regional Development Fund and £3.7 million from BT Group to make a total of £6.2 million. The Superfast Worcestershire roll-out is using a mixture of technologies. These include Fibre-to-the-Cabinet (FTTC), which provides download speeds of up to 80Mbps and upload speeds of up to 20Mbps, and Fibre-to-the-Premises (FTTP), which is capable of delivering download speeds up to 1 Gigabit per second (Gbps) and upload speeds of up to 220Mbps. In addition there are some premises that are currently connected directly to the telephone exchange rather than via a green roadside cabinet, sometimes known as Exchange Only (EO) lines. In order to connect EO lines, further roadside cabinets have to be installed.